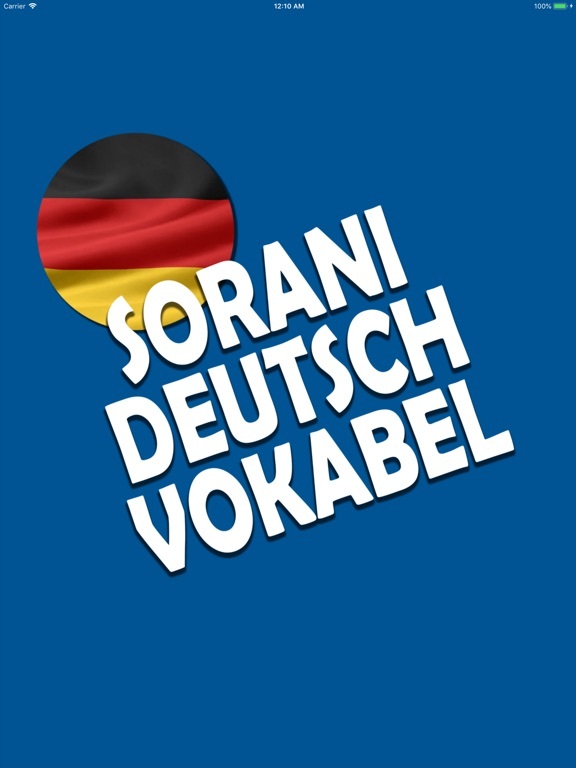 The app for Learn German from Sorani - Kurdish, contains over 1500 German words for the Kurdish learner with excellent audio. 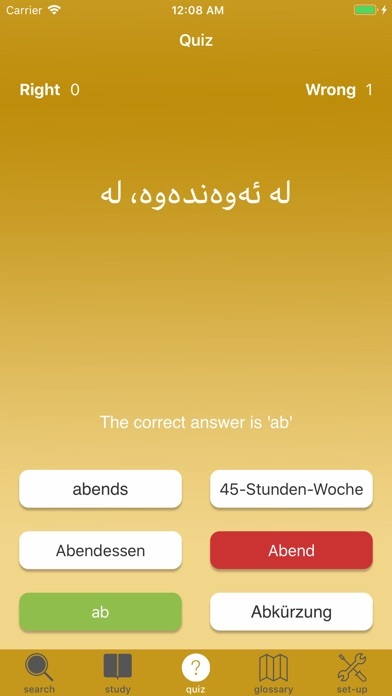 It will help to develop an A1 level German vocabulary. 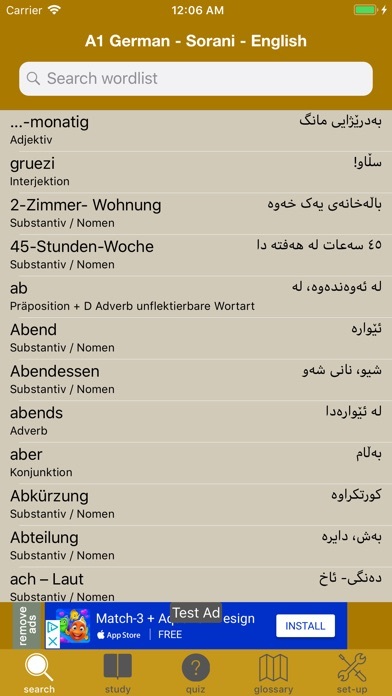 It contains a German / English dictionary of terms searchable in Sorani or German by Nouns, Verbs or other word types. 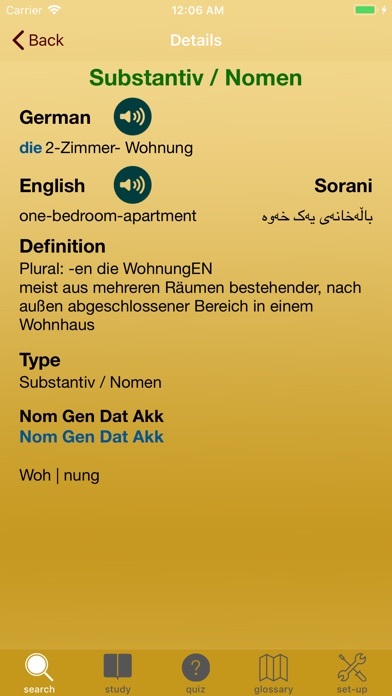 Each German word entry has the Sorani and English translations, a definition and detail information. 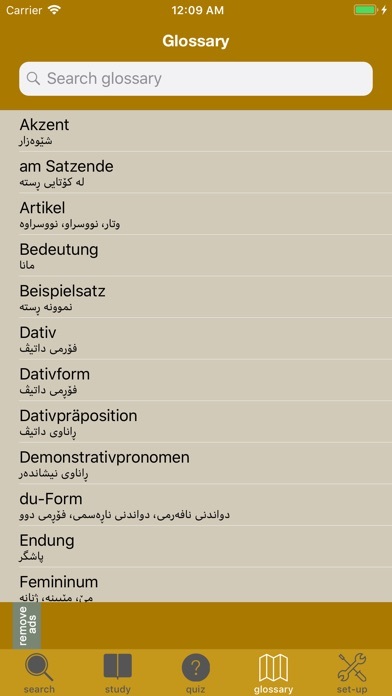 - The free version comes with 100 terms and this can be upgraded up to 1500+ terms and a Pro version without Ads and the full A1 dictionary. Supports earlier versions of iOS.